Like all other activities a human kind does, music also involves the use of the whole brain. It improves memory, attention, physical coordination and mental development. 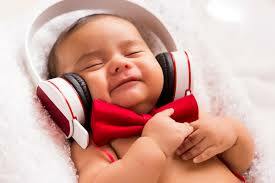 The classical musi stimulates the regeneration of brain cells. You can testify with me that certain music also improves the mood, intelligence, motivation and concentration. For most people it improves also the quality of life and aids in physical, emotional and social needs. It can also reduce stress, decrease anxiety, anger and frustration. Today music has been reduced to a simple audio pleasure, while earlier it was reckoned as a powerful force. It was considered as a form of communication affecting the emotions without words and thought. Can you understand that music has therapeutic properties? The patients who listened to music during and after open heart surgery recovered soon. Music is not just a harmless background noise as we can hear created by musical instruments. It has been confirmed that music and sound have both harmful and beneficial effect on people, plant and animals. Do you know that music increases the productivity of beats? The music relaxed the birds and increased egg production. It sounds strange but believe me it’s the truth. The stress hormones namely cortisol and adrenaline are secreted by the adrenal glands in response to adrenocorticotropic hormone or ACTH. It is composed of 39 amino acids which are primary stimulation for the production for adrenal cortisol. In that case, high-intensity exercices plus energizing music of fast tempo increase the cortisol levels, while the slow, quiet and calm music does the opposite. So people are likey to respond to music they like, rather than to a specific frequencies without knowing which music increases or decreases the cortisol levels. It is also confirmed that music boots the immune system. An emotional response of the secretion of immune-boosting hormones is induced by certain music. For this reason, you can observe that music change the illness person to get healed fast. The creative feat of composing music and its effect on the listener is to invevitably bring one to ponder the question. There are 2 differnt kinds of hearing experience, yet both delivered courtesy of the same sense organ, namely the working ear. The composer of music has created an arrangement of instrument sounds that can take us out of this world of time and space by putting together a rhythmic succession of individual tones organised as melodies that quicken inner sensibilities.